Last month, we had the great pleasure to film a market mixer hosted by The Knot and put on by True Event in New Haven, CT. The event took place at the stunningly beautiful Roia Restaurant on College St. in downtown New Haven. It was a lovely evening with some amazing people and vendors! 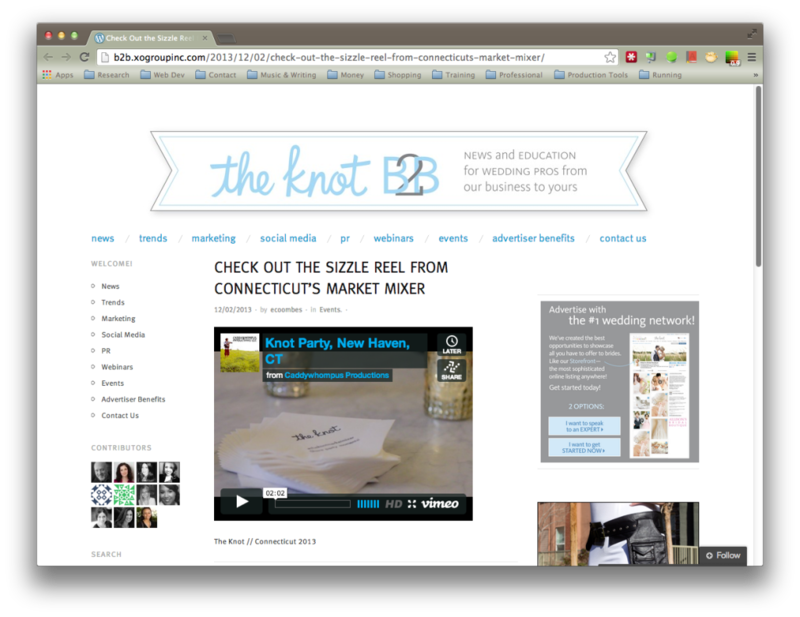 You can see the film over at The Knot B2B site or head over to our cinematography page. This entry was posted in Blog and tagged The Knot, True Events. Bookmark the permalink.